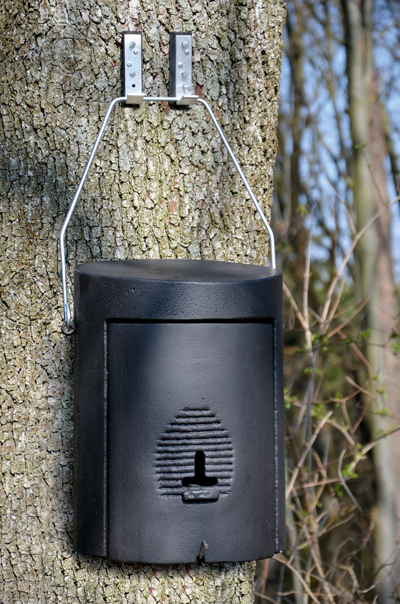 The Bat Hibernation Box is based on the interior of the 1FS with the triple and corrugated wooden boards as clinging option and crevice roost. 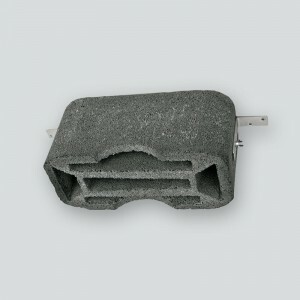 However, in addition, with its patented double-panel system with several insulation layers, the 1FW also offers unsurpassed insulation in the winter. Despite this, the breathable material and forced ventilation ensure safe hibernation of Bats. Equally suitable as a nursery roost and for colony formation in the summer. 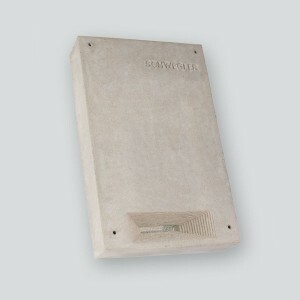 The front panel is opened without the clinging panels; these can then be removed separately after the front panel has been opened. This ensures easier handling. 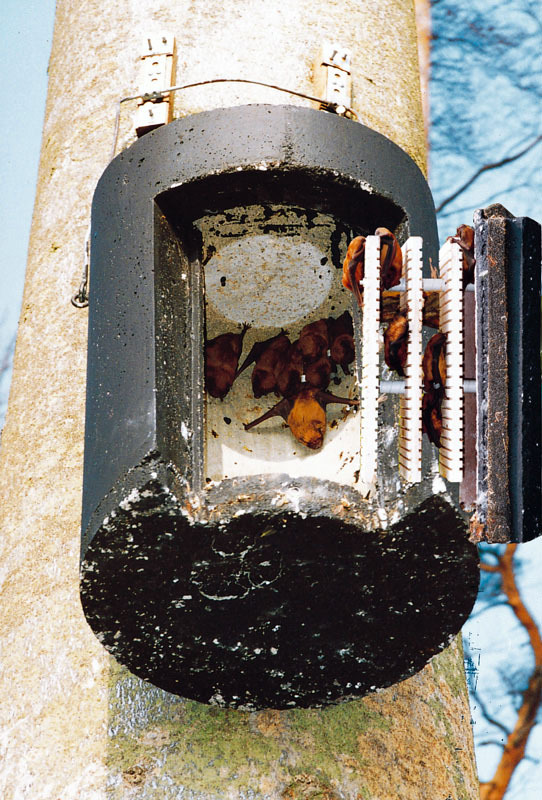 As this roost is also a very popular place for larger Bat colonies to occupy, it is absolutely important to remove droppings from this nest box and to clean it at least once or twice a year. 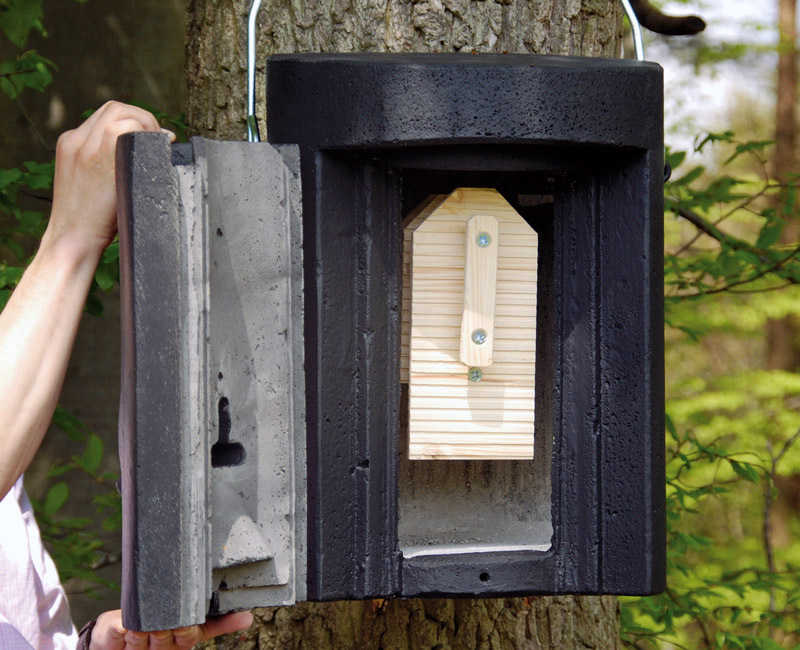 This makes this box an ideal colony roost all-year round. 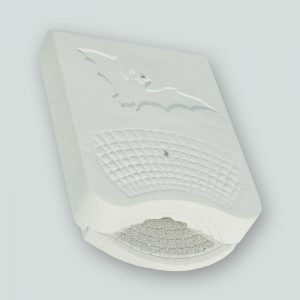 However, the Bat Box should not be opened during the winter months, in order to avoid extreme temperature fluctuations in the interior. Interior design: Removable crevice roost made of long-term resistant, corrugated wooden boards. There is a special clinging area inside the roof. 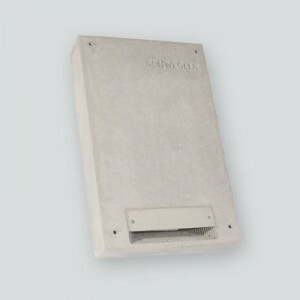 Front panel with protection against falling out. 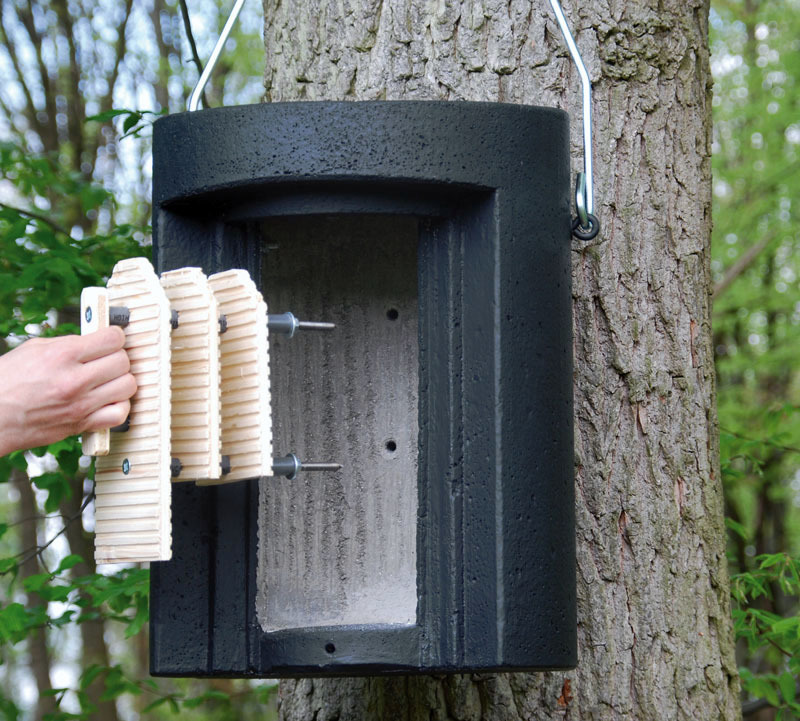 Installation: Tree and forestry-compatible using Aluminium Nails and two C-Blocks with simultaneous protection against falling out on the hanger and on the front panel. Optimum hanging height at least 3 metres. A clear entrance accelerates settlement success. Items supplied: 1FW, Hanger, two Mounting Blocks, Aluminium Nails and instructions for use. External dimensions: ∅ 38 cm x H 50 cm. Internal dimensions: ∅ 20 cm, H 38 cm. Includes: 1FW, Hanger, two Mounting Blocks, Aluminium Nails and instructions for use.